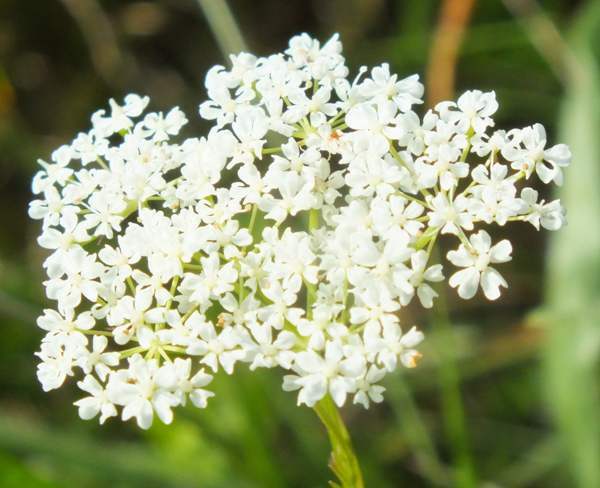 This low or medium height umbellifer has finely-divided leaves, hollow stems and a nut-like tuber just below ground level. The tubers are edible and much appreciated by pigs; children sometimes dig them up and eat them, too. Pignuts are commonly found in sloping meadowland where the soils does not remain waterlogged for long. 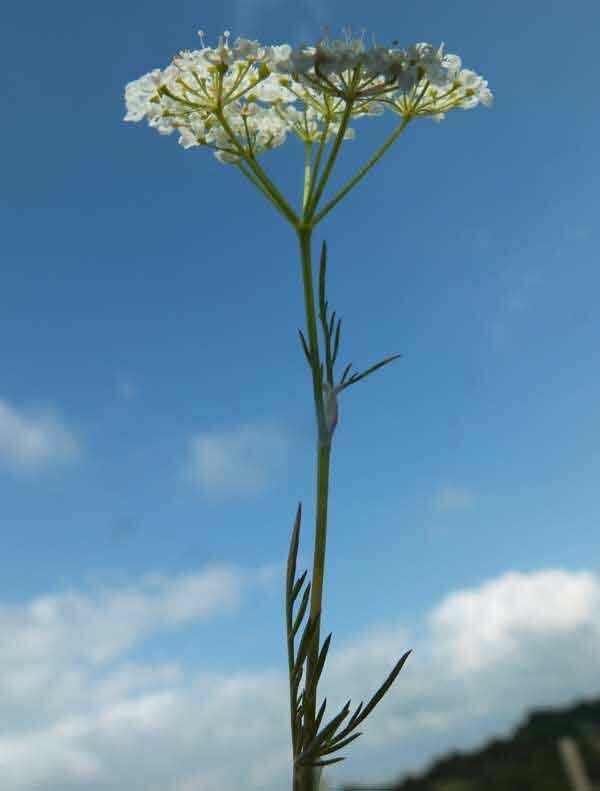 The stems are hollow, unlike those of the Great Pignut (Bunium bulbocastanum) which has solid stems. This plant is widespread throughout the UK although not as common in the far north. The specimens on this page were photographed in West Wales.